If you have a website, you know that bounce rate is one of the most important metrics you’re checking on Google Analytics. Your bounce rate is the amount of time someone spends on your page and engages with your content. The longer people spend on your page after reaching it via referral or search, the more Google considers you legitimate and relevant. It’s really important for SEO. It’s also one of the most difficult metrics to improve. There are various factors that go into boosting and maintaining a low bounce rate. The design, content, and speed of your site determine how users respond to your page and whether they “bounce” or not. It can be difficult to get right. Beamer is a great tool that flawlessly integrates into your interface to deliver interesting updates for new and returning visitors to get them engaged and clicking through your site right away. When visitors first land on your site, you have a few seconds to grab their attention and keep them engaged so they don’t “bounce”. If your design and interface is not engaging enough, it will take too long for them to figure out why your site is valuable to them. Use Beamer to introduce visitors to your site and suggest where they should explore next. You can announce anything in Beamer: new content, new features, new sections of your site. You can also entice users to do some sort of action whether it be signing up for your newsletter, taking a quiz, or engaging in a community element to further boost engagement. Without a central place to explore news and updates, visitors may never figure it out on their own. One of the things that really boosts engagement and lowers bounce rate is a social or communal element to a site. Users are familiar with social feeds and online communities and they world to get people spending a lot of time on a site. By adding Beamer, you can share community updates and get users sharing their thought. Users can leave comments and reactions to your posts on Beamer like on a Facebook feed. It’s a great way to get users engaged with what’s on your site as well as gauge what is popular and what isn’t. For example, if you have a website for your podcast, you can share posts from your social media pages and share videos directly from your YouTube on your Beamer feed where users can check out your latest. All you have to do is update Beamer and your website’s content looks dynamic and fresh. Beamer collects data on how your users are reacting to your site. Your team can access powerful data behind the scenes with Beamer Analytics. You can find out instantly what is most and least popular with users across what demographics. There is a lot of detailed information like location, user data, etc. that your team can use to know how your website is being received worldwide. You can use this information to make better decisions about your website’s content and design and improve it to be more engaging and interesting for your audience. Your users and visitors may not notice all the improvements you are making on your website to make it more dynamic and appealing for them. A great way to show them all your hard work is to notify them with Beamer push notifications. With Beamer push notifications you can announce even more effectively your major updates and latest news by reaching readers and users even offline. You can choose where you want to redirect users who click on your notifications. For example, you can have them read a new article on your website, promote a new service you are offering or just let them land on your homepage to further explore your site. Sites using Beamer push notifications have increased their user engagement by up to 10x and drastically reduced churn. Users expect personalization in almost all places online today. The more personalized your user experience, the more likely visitors are to stay on your site. They are more likely to explore more if you show them why your site is valuable to them specifically right away. With Beamer, you can curate updates for specific use groups visiting your site. You can segment by language, demographic, and pas behavior on your site. For example, for new users you can make it to where they see posts that give them an intro to your site and what it’s about but for returning users, you can make sure they see the brand new content you’ve posted. A small detail like this can keep a visitor interested in your site. It’s easy to use Beamer with your site and tools you already love. There is a WordPress plugin for Beamer that makes installation very simple so you can get to creating updates and analyzing data for your WordPress site with a simple download. 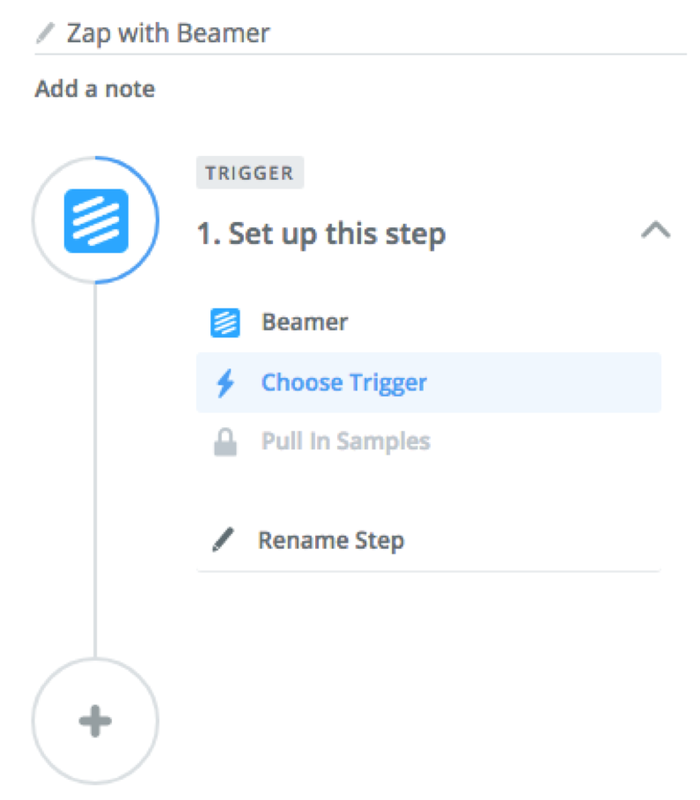 There is also a new Zapier plugin that allows you to connect what you’re creating on Beamer to any other apps you use. 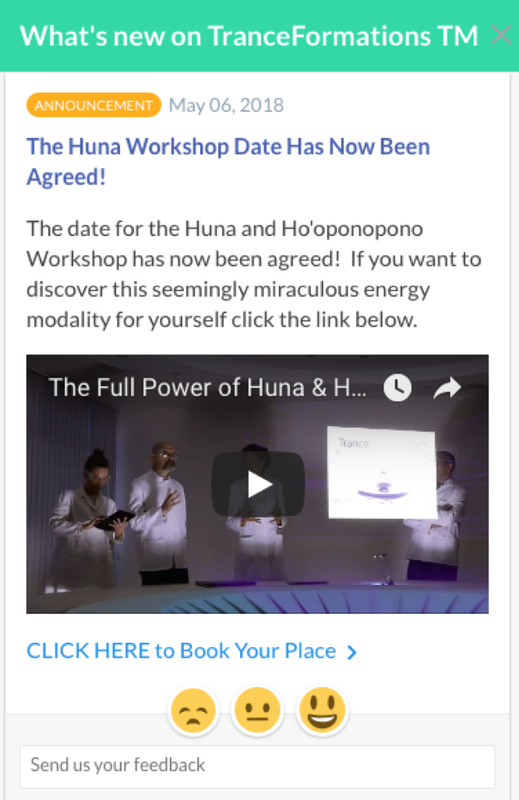 For example, if you share all your new content on your Beamer feed, you can set it up so your new posts are automatically emailed out to your newsletter list and shared on your social media profile without even having to think about it. Beamer is the perfect answer for any site creator or web master who wants a better way to keep visitors sticking around without a complete site overhaul. It’s a simple, easy addition to your interface that takes your site from static to dynamic and interesting. Try Beamer on your site today to boost engagement and lower your bounce rate. How to get blog subscribers to read your new posts?